Even with a game Timothy Olyphant, all the shocks in suburbia can't bring Season 1 to life. On the surface, “Santa Clarita Diet” should provide a lot for fans to talk about. It’s Drew Barrymore’s first TV show as a series regular. It’s Timothy Olyphant’s first starring role since “Justified” wrapped (and his first time leading a comedy, following a great “Grinder” guest arc). And it’s a Netflix comedy with an eye-opening, jaw-dropping, holy-mother of a twist — right off the bat! But creator Victor Fresco’s two-time track record for cult favorites cut down too quickly (“Better Off Ted” and “Andy Richter Controls the Universe”) falls short of reaching the trifecta. Even if “Santa Clarita Diet” runs 10 seasons, it would have to change drastically to merit any favored status — cult or otherwise. The story of a married couple who are realtors by day and, well, not realtors by night is far too flawed — in its comedic sensibilities, in its rushed rhythms, and in at least one performance — to merit watching after the big reveal. 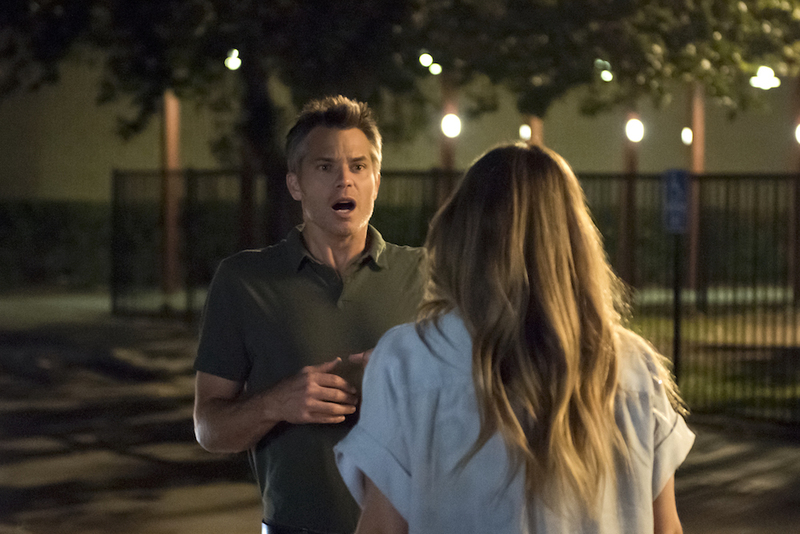 Everything good and bad about “Santa Clarita Diet” ties into the big reveal in Episode 1, so we’re going to have to talk about it below. Netflix, through it’s playful but overly informative marketing — and our online culture’s unhelpful assumption-making about said marketing — have combined to spoil quite a bit of the fun within the premiere. You may already know what’s coming. But if you haven’t been sullied, be warned: Spoilers ahead. Perhaps most telling as to whether or not you’ll like the show as a whole is Sheila’s utterly random and incomparably intense vomiting scene. The color. The sound. The shock of it all. Every element comes together to evoke the most visceral reaction the first season ever produces, and it’s only the first phase in a two-step reveal. Later, we discover what’s wrong with Sheila: She’s a zombie. Or, without labeling it as such, she’s an undead cannibal. While the latter piece of information should inform viewers as to just how gross this gag-inducing comedy will get, it’s the vomiting scene that leads by example. 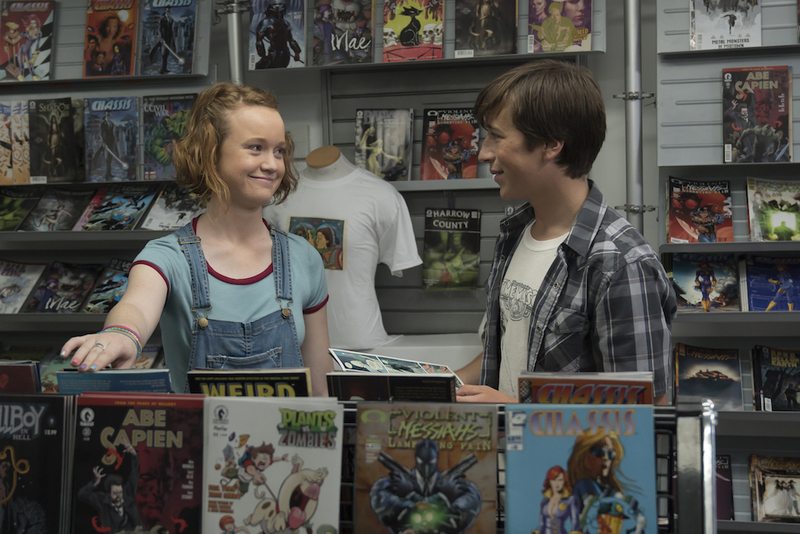 Once the shock wears off, judge for yourself whether you want more of the same; not the surprise element (though “Santa Clarita Diet” does hold more than its fair share of twists), but the cringe tied to the sight gag. That’s the formula repeated over and over to grab laughs, and you better love it to keep going. But it’s not the only formula worth flagging. While I’m sure the sense of humor showcased throughout “Santa Clarita Diet” will please a select fandom, its method doesn’t maximize the potential of its premise. While the tone of the series is unique, part of its forced frivolity comes from how every character always plays into the joke. Rather than contrast the absurdity of Sheila’s situation with the mundanity of her old life, the dialogue as well as the way the actors are directed builds an otherworldly absurdity. The world may look familiar on the surface, but everyone in it is operating as if from a distant planet. For an example of how it could have been done (better, in my opinion), look to TBS’ “Angie Tribeca.” In this absurdist comedy of “Airplane!” and “Naked Gun” descent, Rashida Jones and the cast are always dialing back their reactions to the madcap events around them. When Lieutenant Atkins informs his SWAT team to be careful when going after a gym teacher and he’s then hit on the head with a red dodgeball, he angrily shouts, “I’m out!” and leaves the scene as though he was just eliminated from the investigation. It’s funny because he takes it so seriously, rather than winking and nudging the audience before and after the visual joke to warn, “Hey, something funny is about to happen.” He’s not playing into the joke. He’s treating the scene with the drama his character feels, and he keeps the series grounded (enough) to make the absurdity even funnier — every single time. Now, “Santa Clarita Diet” isn’t spoofing police procedurals, but it is working with a similar formula. Joel and Sheila are supposed to a normal married couple presented with an impossible situation. The humor comes from the surprises, be it her vomiting enough yellow-ish fluid to fill 10 bathtubs or suddenly taking a bite out of the overly hands-y weatherman. (Nathan Fillion, we wish we could have seen more of you.) As the series progresses, the same level of shock can’t be matched every time, but that would’ve been fine had the characters not smoothed over the juxtaposition of zombies and suburban life. There’s no authenticity to their choices even when they’re manic with worry. There’s always time for a forced comparison to their old life, just as there’s always a goofy solution to their next problem. Barrymore and Olyphant play into the joke so often, we know what’s coming before it happens. When it does, it produces an eye-rolling effect brought upon by both the repetition of the same joke and an emotional disconnect between the audience and the couple. For example, in the third episode, Joel and Sheila have come to terms with the fact they’ll have to kill people in order to keep her alive. But who? Someone bad, of course. So they start looking for people who won’t be missed, and whenever they hear of someone morally questionable or meet a person below human standards, it’s pointed out as a positive. “Oh, he sounds horrible,” Joel might say. “Great!” Sheila said. Well, maybe you do, but we picked up on the joke long before you were willing to drop it. And these kind of redundancies stack up throughout the first season. There are moments in later episodes that briefly highlight what could have been, as the marital struggles brought on by Sheila’s symptoms are dealt with on an honest emotional level rather than a running list of cliches. But it’s far too little, far too late (and doesn’t appear to be a conscious fix so much as an accidental evolution). Barrymore and Olyphant, for their part, commit to the bit throughout, with the former “Justified” star taking it the extreme it needs in order to occasionally steal a joke. His consistent enthusiasm and wild emotional range provide a hint of spontaneity in an overly structured comedy, and they also build us up to believe another big reveal is on the way. What’s up with Joel? Something has to explain why he’s on the edge of a nervous breakdown one episode and then awash with emotion over a beach photo the next. But an answer never comes, and the ending leaves us a little disconcerted over his mental state, while appreciative of Olyphant’s efforts to get us there. Barrymore is a bit more complacent. She allows the blunt imagery of her eating various body parts to carry the joke when she’s not being directed to play up the less gory humor. But unlike the women on HBO’s upcoming “Big Little Lies,” Barrymore is content with playing any ol’ suburban housewife instead of making her’s standout. Sheila and Joel have few distinguishing characteristics outside of their one big one, and yet Olyphant clearly loves creating idiosyncrasies within Joel while Barrymore is just Barrymore. She’s got moments of fire, but the hefty price-tag Netflix ponied up could have been better utilized on a more versatile comedienne. The same lesson could be applied to “Santa Clarita Diet” in general. While an amusing idea — a zombie that has to survive in the real world, rather than an apocalypse — the bit plays like an extended “SNL” skit or a web series designed to be told in punchy, five-minute blocks. As a traditional series, it works the suspense angle with twists at the end of each half-hour, even when there’s no way anything too awful will befall our couple. “Santa Clarita Diet” isn’t ready to explore the internal horrors of becoming a zombie, even if it’s more than willing to show its external frights. That might sound like a strange complaint to lodge against a comedy, but we still need to feel for these characters in order to invest in their plight. Comedy, while subjective, still necessitates connection, and “Santa Clarita Diet” severs the tether too many times. Such superficiality may be good for a quick jolt, but it won’t satisfy you when the meal’s over. “Santa Clarita Diet” Season 1 is streaming now exclusively on Netflix.